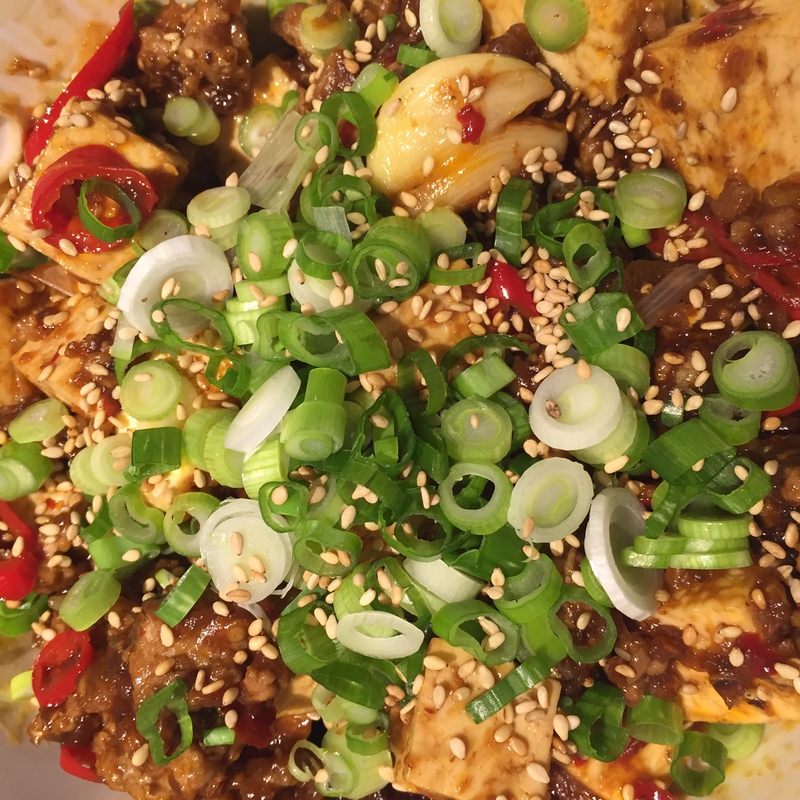 Morgan has been on a mapo tofu kick since he went to Mission Chinese when he was in San Francisco. Even before he got back from that trip, the Lucky Peach newsletter landed in his inbox, including the mapo tofu recipe from Mission Chinese! After sourcing all the ingredients (except the beef fat), Morgan invited me over to prepare it. We made it using a technique best described as “pair cooking”, a reference to “pair programming”. In pair programming, often one person is at the keyboard doing all of the typing, and the second person formulates and talks over ideas with the person typing.